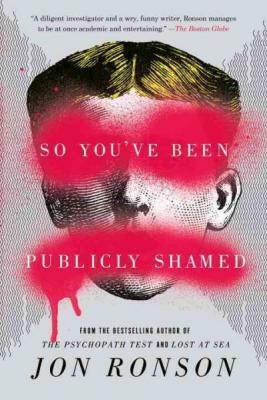 Now a New York Times bestseller and from the author of The Psychopath Test, a captivating and brilliant exploration of one of our world's most underappreciated forces: shame. Jon Ronson’s books include the New York Times bestsellers The Psychopath Testand Lost at Sea: The Jon Ronson Mysteries, and international bestsellers Them: Adventures with Extremists and The Men Who Stare at Goats. He also cowrote the screenplay for Frank, which will be released in theaters August 2014, and which stars Michael Fassbender and Maggie Gyllenhaal. Ronson is a regular contributor toThis American Life and lives in London and New York City.